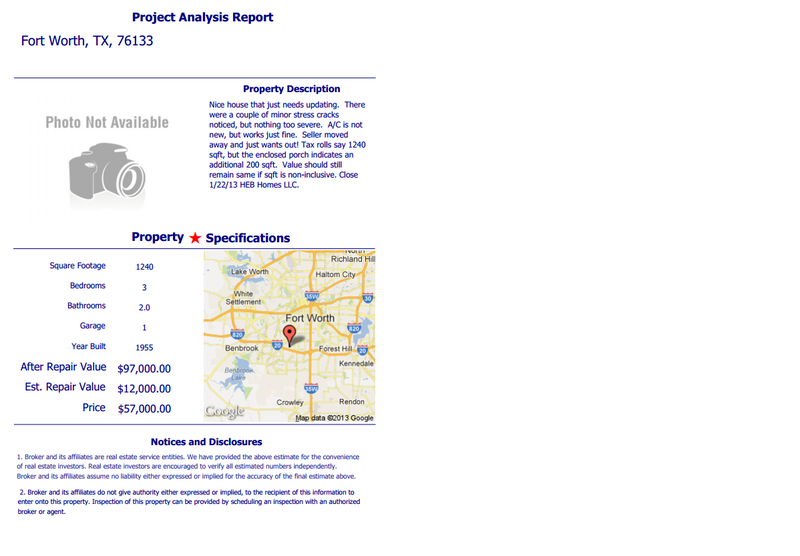 American Wholesale Property: Not on MLS! SE Fort Worth Investment. Not on MLS! SE Fort Worth Investment. Nice house that just needs updating. There were a couple of minor stress cracks noticed, but nothing too severe. A/C is not new, but works just fine. Seller moved away and just wants out! Tax rolls say 1240 sqft, but the enclosed porch indicates an additional 200 sqft. Value should still remain same if sqft is non-inclusive.